What is Chitosan and What is it Doing in Your Skincare? Have you been noticing chitosan appearing more and more on skin care product ingredient lists? While this ingredient may not be as well-known as some of the other skin care superstars, chitosan can really make a huge difference to the health and appearance of your skin. Chitosan is a fiber that comes from chitin. It’s a substance that can be found in the hard outer shells of certain crustaceans, such as lobster, crab and shrimp. The cell walls of certain fungi also contain chitin, meaning that vegan sources are available too. Back then, it was primarily used as a weight loss supplement. Since chitosan is extremely fibrous and can absorb unwanted oils (up to eight times its weight! ), it basically prevents the body from absorbing cholesterol and fat when consumed as an oral supplement. This made it fantastic for treating high cholesterol, obesity, and other related diseases. So, how did chitosan end up in skin care products? This led to researchers looking into how chitosan could possibly benefit the pharmaceutical and cosmetic industries. Of course, if being used topically, the molecular structure of the ingredient had to be adjusted. To ensure that it was small enough for the skin to properly absorb. This was done by nano-sizing the chitosan, after which the ingredient was much easier to incorporate into skin care formulas. Why were researchers so eager to make use of chitosan in cosmetics? You probably already know that moisture is key when it comes to skin health. Your skin cells need moisture in order to properly function and thrive. This role primarily lies with the outer layer of your skin. 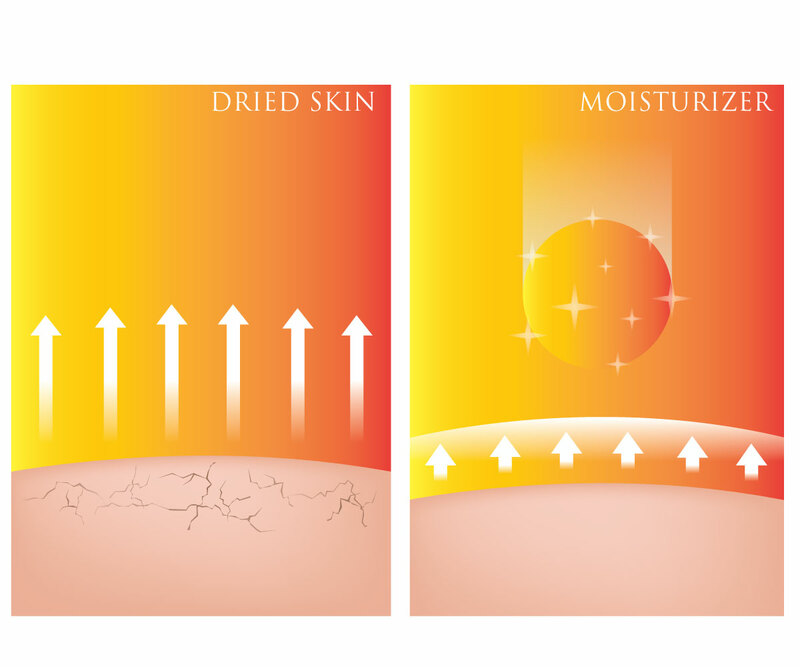 This layer is responsible for preventing moisture from evaporating out of your skin and into the air, and blocks irritants and impurities from entering into your skin at the same time. If my skin already retains moisture on my own, how would chitosan make any difference? Because there are so many things out there that interfere with your skin’s natural protective layer, causing it to not be able to do its job quite as effectively. So, how does chitosan actually help when it comes to the skin’s moisture levels? When chitosan is applied to the skin, it forms a film while it dries. This film remains on the skin, covering the skin’s surface without cracking. This basically gives the skin an extra protective layer when it comes to keeping moisture in. The extra hydration that chitosan can provide the skin with enables the skin to take on a healthier, plumped up appearance, while functioning to their full potential. When it comes to sunscreen, water-resistant formulas are always popular, especially in the summer months. However, while they may be water-resistant, they are not completely waterproof, meaning that you would still need to frequently re-apply your sunscreen throughout the day. Chitosan is able to help with this, and make a sunscreen more water-resistant. This is why you will find the ingredient incorporated into many water-resistant sunscreen formulas. The chitosan itself, when combined with certain other ingredients, has the ability to absorb both UVA and UVB rays. In fact, research has found that it can do this up to 192% better than the ingredients that are currently used in many sunscreens. This could lead to new breakthroughs when it comes to sunscreen formulas in the near future, after which you will likely see chitosan being hailed as a star sun-protecting ingredient. Your skin is constantly regenerating itself. It creates new skin cells within its deeper layers, slowly pushing these upwards as the cells mature. Once the skin sheds its older skin cells, these new skin cells show through, looking much fresher and brighter than the cells they replaced. The skin cell regeneration process is something that occurs quite prolifically when you are young. However, as the body and skin ages, this process slows down quite significantly. Environmental and lifestyle factors also contribute to this decline. Your skin takes on a rougher and duller appearance, because the older and dead skin cells end up remaining on the surface of your skin for longer. By speeding up skin cell regeneration, chitosan helps to change all of this. It encourages your skin to produce new skin cells at a faster rate, which means that your skin then sheds its older skin cells much quicker. This is why chitosan is also commonly used when it comes to wound healing. By increasing the production of new skin cells, chitosan is able to dramatically speed up the rate at which a wound heals, while also ensuring that it heals in a healthy way. If a skin care product has been formulated with certain antioxidants, then it goes without saying that you would want those ingredients to penetrate as deeply into your skin as possible. Researchers have studied the variations in skin permeation when it comes to specific catechins. These are natural and highly potent antioxidants, but are often excluded from skin care formulations due to the fact that they do not easily penetrate into the skin. Well, when combined with chitosan, these hard-to-absorb ingredients tend to soak right in. This means that by incorporating chitosan into a skin care formula, the antioxidants in that product will likely be so much more effective. Chitosan has long since been known for its antimicrobial effects, and these are definitely something worth taking note of. What does antimicrobial actually mean? It means that chitosan is able to kill certain microorganisms, such as mould and bacteria. When it comes to that last point, research has found that skin care products that contain antimicrobials are much more effective at reducing bacteria on the skin than products without antimicrobials. You may have noticed chitosan being included in more and more anti-aging products. Chitosan has also shown to be able to increase the skin’s natural collagen synthesis. It’s one of the main structural proteins that give your skin its firmness and smoothness. Your skin naturally produces collagen, doing this to quite an extent when you are young, which is why the skin of a baby or a young child is so beautifully soft and smooth. 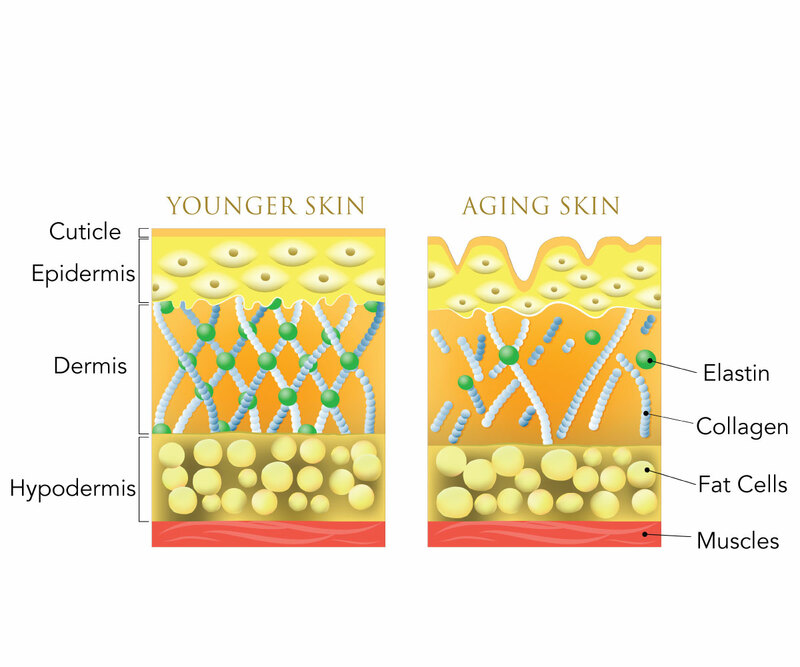 However, as the body ages, collagen production declines. Environmental and lifestyle factors, from diet and alcohol consumption to pollution and sun exposure, also effect the amount, as well as the quality, of the collagen in the skin. This loss of collagen is one of the reasons as to why older skin tends to develop fine lines and wrinkles at a much faster rate. While there are plenty of ways in which you can hide these signs of aging, the best way to tackle them is by encouraging your skin to produce more collagen itself. Chitosan is able to significantly increase the amount of collagen your skin produces. This means that you will likely notice improvements in the firmness, smoothness and texture of your skin after a few months. Because this is how long it takes for your skin to begin producing more collagen after it has been instructed to do so by the chitosan. Don’t worry, the wait will be more than worthwhile! In addition to being a fantastic ingredient for the skin, chitosan brings plenty of benefits to the hair too. Currently, when it comes to hair care products, most formulas contain chemicals to do the above. Chitosan could really transform the industry, enabling brands to opt for a natural and eco-friendly ingredient instead. This will not only prevent waste and environmental contamination, but will also be so much better for the consumer too. As mentioned earlier, chitosan is primarily obtained from the shells of crustaceans. This led to initial concerns about exactly how the ingredient was derived. Are these sea creatures killed solely for their chitosan? The answer is no. The crustacean shells that chitosan is derived from are a by-product of other industries. Being able to find a use for those discarded shells, and such a good use at that, makes chitosan quite an environmentally efficient ingredient. Want to know more about vegan sources of chitosan? Chitosan can be taken from the cell walls of certain fungi too, but these sources of chitosan tend to be much more expensive. Because the crustacean shells are already available extremely readily and cheaply. Nevertheless, while you may have to spend extra time searching for chitosan that has come from a plant-based source, and will likely need to spend more money on this, you will likely be able to find something suitable in the end. Worried about a shellfish allergy? Chitosan hasn’t been shown to affect those who have shellfish allergies. However, if you are worried, speak to a doctor or dermatologist for more information. You are likely to see chitosan appearing in a much wider range of skin care products these days, so which one/s do you go for? Do you have oily skin? If so, a chitosan cleanser could benefit you. When consumed, chitosan is able to bind itself to oils and fats, and it has that same effect when applied onto the skin as a cleanser. This means that chitosan is a great tool for those with oily skin when it comes to clearing away excess oil. You will likely also see several chitosan serums and creams out there. Wondering if these are any good? Yes, both types of products would work well, so long as they have been formulated with other quality ingredients. 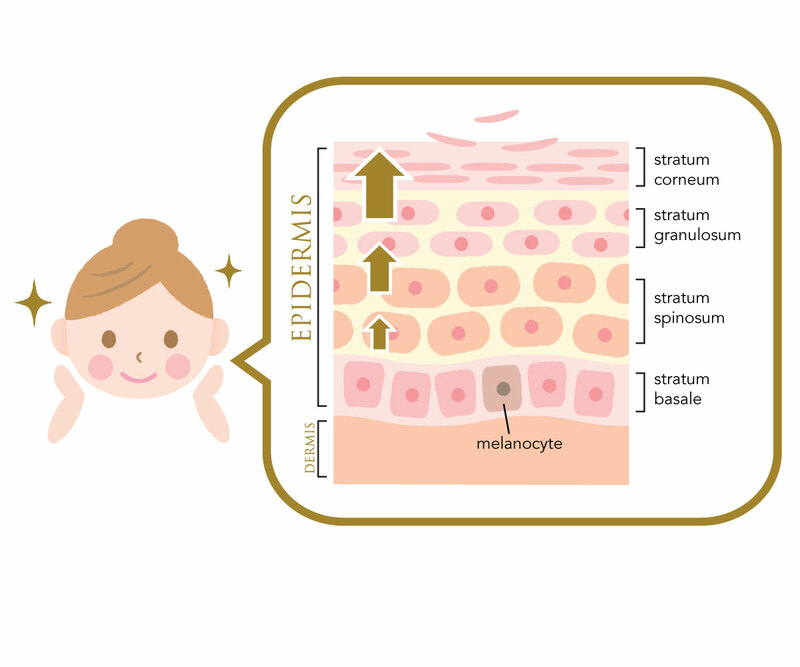 With a serum, the chitosan would be able to penetrate deeply into your skin, as this is what a serum does. Serums can also easily contain chitosan at a higher concentration than a cream. Why would I go for a cream, then? Because a cream is great for treating the surface of your skin. Since one of the primary roles of chitosan is to form a film over your skin and to protect its surface, a cream enables it to do this efficiently. Now that more and more research is emerging to back up the skin care benefits that chitosan has, this ingredient is only going to continue to become popular. Being antimicrobial and anti-inflammatory, this gentle ingredient can be used by all skin types, making it well worth adding it into your skin care routine today.